This is my Ferguson TED-20, petrol/TVO tractor. 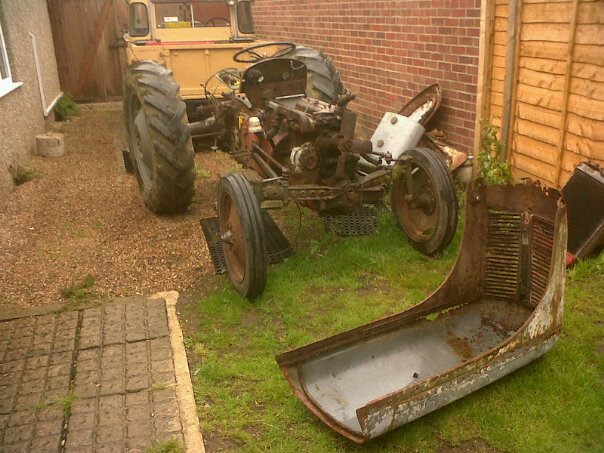 Puchased a few months back from a local Ferguson and ploughing enthusiast, with the hope of me restoring her to near factory condition. My dream of this Ferguson being restored to perfect condition is unrealistic with my shallow pockets and many other mechanical commitments/toys. So I’ve resorted to concentrate on revitalising Freida to the level of a mechanically sound tractor. Today Michael and myself removed the hydraulic pump and mended it. The problem was that the oscillating control valve was extremely bend and the oscillator key had snapped clean off the rod which joins it to the control valve to stop it siezing inside the pump. We soon remedied this by straightening out the valve and removing the oscillator assembly until a replacement can be found. Once we’d cleaned and flushed all the sludge from the back end, we filled her up and using a spanner on the PTO shaft to turn the pump, we managed to get Freida’s arms lifting again. The distributor is now timed, it’s only a matter of fitting an inline fuel filter to cope with my rusty fuel tank, and give the ignition a fine tune once it’s running. The new Distributor is vacuum advanced whereas the original was mechanically advanced via a centrifugal system. So I plan on running a vaccum pipe from either the throat of the inlet manifold or just above the carb’s throttle butterfly. 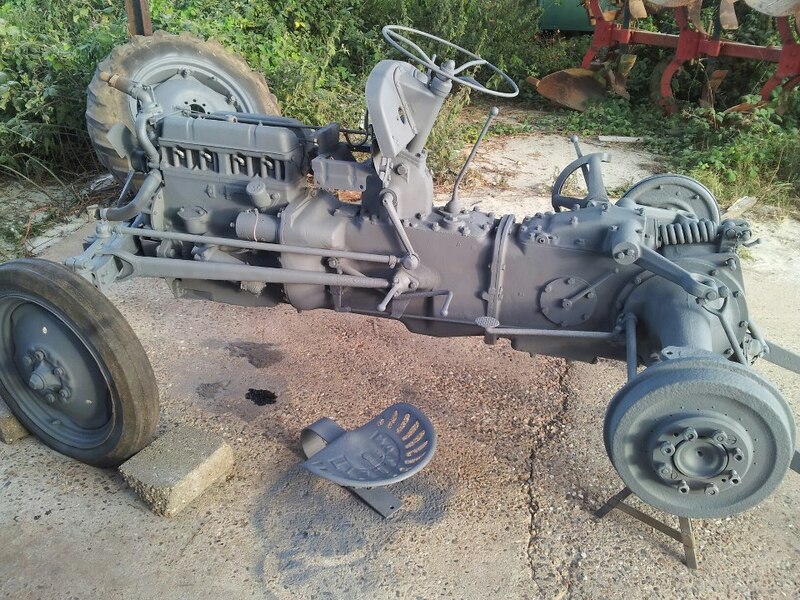 I’ve managed to partially unsieze the front axle, removed the rust and pitting from the joints on the radius arms. The only problem yet to defeat is the pitting and rust around the axle bush in the tombstone of the tractor. Distributor fitted, just got the timing to do now. The day I trailered her home, I sat her in my garden, re-wired the distributor and with a quick check of fluid levels and a funnel hooked to my guttering, I got Freida splutting and idling nicely. The following week I fitted the fuel tank and ran her round the garden in all gears and engaged the PTO, everything worked fine apart from the hydraulics. So far I’ve managed to get her grit blasted and primed, all panels need replacing, I’ve sourced replacement electrical parts (non-original), and I’m currently in the process of unsiezing the pivoting front axle and investigating my hydraulic error.